Facts based decisions. : The poorly educated. Dear Ivanka, May be you skipped the civics lessons (did your father bully the teacher in to giving you passing grades ?). Let me educate you this once. A president does not make laws, he signs them in to effect or veto/s them. Laws, also called bills, are voted on by the US Congress. 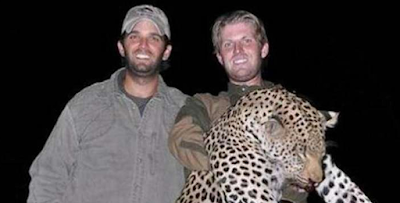 This picture defines the character of Trump's two sons. 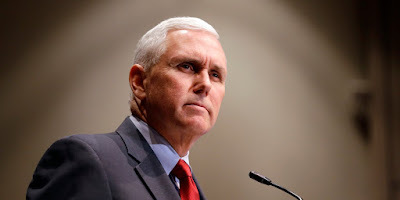 And, this is the level of intelligence of Mike Pence, who thought it was important to pass laws covering his version of the first amendment, to explicitly make discriminations legal in his state. How perverted one can be to take a freedom of all people and convert it to an atrocity on few people. It doesn't help your cause to post a note (the last one) that is actually a satire. You need to be equally unintelligent or more than them to think that note was actually real.